Georgiy Ivanovich Denisenko was the Rector of KPI in 1971-1987. Georgiy Denisenko was born on April 29, 1919 in the village Hodoriv near Kiev. He studied in Kharkiv Electrotechnical Institute till World War II. During the Great Patriotic War he defended our country on the battlefields of the Great Patriotic War. Then he was a teacher in the Military College in Samarcand and the lecture of the High Officers School of Mobile Artillery in Moscow. He graduated from Lviv Polytechnic Institute in 1948. Georgiy Ivanovich Denisenko lived in Lviv from 1946-1971, and was the Rector of Lviv Polytechnic Institute in 1963-1971. 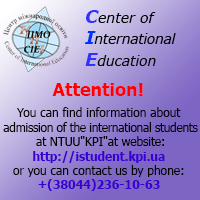 In 1971 he became the Rector of Kiev Polytechnic Institute, and started the great construction of KPI Campus. Thanks to his efforts the number of buildings has increased in 3 times. Among his scientific interests were renewable energy sources. He founded the Scientific school of Electricity Transportation with AC/DC General Grids. He was awarded the Title of the Hero of the Socialist Labor of the USSR. Now the main Science and Technical Library of NTUU KPI is named after Georgiy Ivanovich Denisenko.